Hanoi (VNA) – Vietnam’s real estate sector recorded several merger and acquisition deals involving foreign capital in the first six months of 2017, according to Dau Tu (Investment) newspaper. CapitaLand - a Singapore based real estate company – spent nearly 52 million USD acquiring a site in District 1 of Ho Chi Minh City to develop the first A-class international complex in Vietnam, the VRG River View. The company also announced plans to purchase 90 percent of shares at the CapitaLand Thanh Nien Co. Ltd., which possesses 8,000 square meters in District 2 of HCM City, to build 317 apartments. Keppel Land, another Singaporean real estate investor, spent 846 billion VND (37 million USD) to increase its shares to 16 percent in its Saigon Centre project in HCM City. Hongkong Land of China’s Hong Kong became a strategic partner of the HCM City Infrastructure Investment Joint Stock Company to implement housing projects in Thu Thiem new urban area. 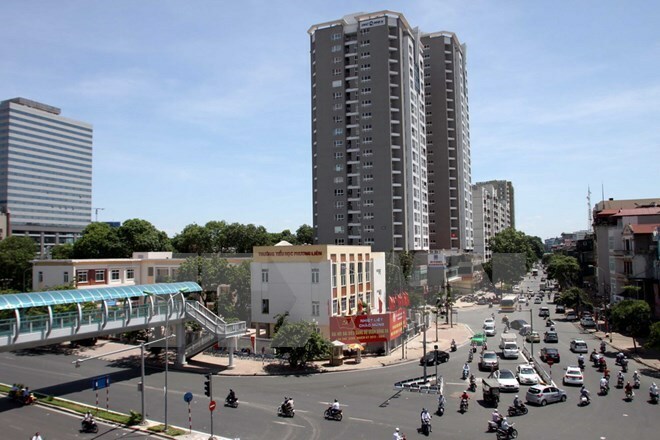 Additionally, An Gia Investment Group and its Japanese partner Creed Group acquired five apartment blocks in District 7 of HCM City worth 910 billion VND (about 40 million USD). Duong Thuy Dung, Director of the CBRE Research and Consulting Department, told Dau Tu reporters that the real estate market is expected to see M&A deals from different segments such as resorts and hotels, mainly in Da Nang, Phu Quoc, and Nha Trang, houses for sales in major cities of Hanoi and HCM City and industrial parks in Bac Ninh, Binh Duong and Dong Nai provinces. Stephen Wyatt, Country Head of JLL Vietnam, said billions of USD from foreign investors from Japan, the Republic of Korea, Singapore and China are expected to enter Vietnam’s real estate market. CapitaLand Thanh Nien Co. Ltd.